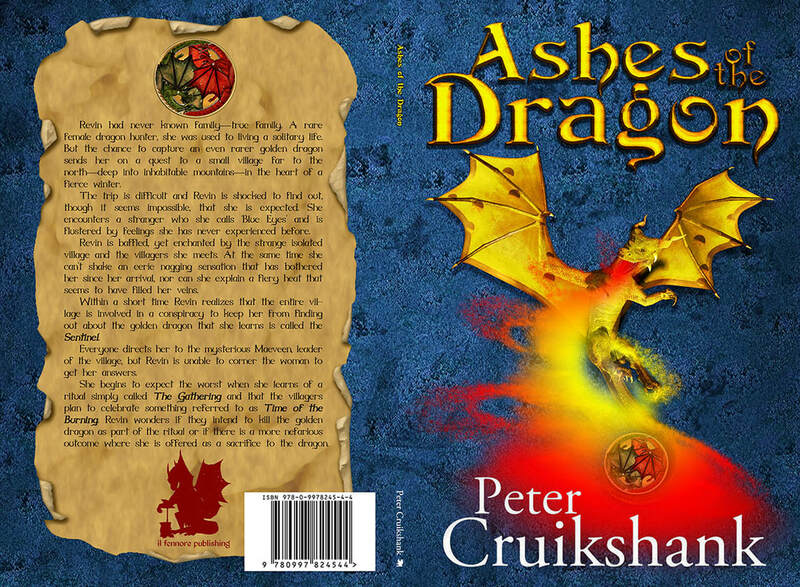 On Ashes of the Dragon is the third book Peter Cruikshank and I have worked on together, and he is such a joy to work with. Unlike the first two books we worked on (you can see them below), this project is a novella. Events take place in the same world as the Dragon-Called series, but it's not exactly a sequel or prequel. Don't let its size fool you, it stands alone. Though it would be a shame if you let it. Revin had never known family—true family. A rare female dragon hunter, she was used to living a solitary life. But the chance to capture an even rarer golden dragon sends her on a quest to a small village far to the north—deep into inhabitable mountains—in the heart of a fierce winter. The trip is difficult and Revin is shocked to find out, though it seems impossible, that she is expected. She encounters a stranger who she calls ‘Blue Eyes’ and is flustered by feelings she has never experienced before. Revin is baffled, yet enchanted by the strange isolated village and the villagers she meets. At the same time she can’t shake an eerie nagging sensation that has bothered her since her arrival, nor can she explain a fiery heat that seems to have filled her veins. Within a short time Revin realizes that the entire village is involved in a conspiracy to keep her from finding out about the golden dragon that she learns is called the Sentinel. Everyone directs her to the mysterious Maeveen, leader of the village, but Revin is unable to corner the woman to get her answers. She begins to expect the worst when she learns of a ritual simply called The Gathering and that the villagers plan to celebrate something referred to as Time of the Burning. Revin wonders if they intend to kill the golden dragon as part of the ritual or if there is a more nefarious outcome where she is offered as a sacrifice to the dragon.